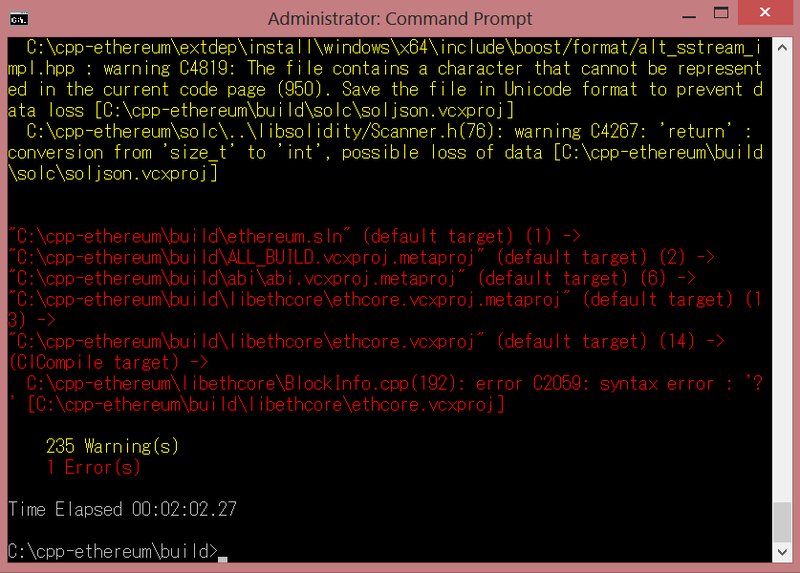 Syntax error trying to build cpp-ethereum on windows? Any idea how could I fix this? Also, is the amount of warnings normal? I am currently running on windows 8.